The gently falling snow, the holiday time with family, the aroma of freshly baked cookies, the gatherings near a fireplace – the best and most awaited time of the year is finally here! Get every inch of your home in the festive spirit with these creative, fun and unusual ways to deck up your interior spaces. There is something for everyone, whether you want to go traditional or whether you like modern décor. Green is not only the pantone of the year but it is also the most prominent colour of the year-end festivities. The easiest way to introduce a subtle pop of green into your home is with textiles and then of course, you can introduce greenery into your living space by placing potted plants and shrubs. The planters come in tons of green hues, and are a perfect welcoming alternative for the festive season. After all, the color green signifies new life and a sense of breaking free from everything that’s mundane or dead while accentuating the beauty of your home manifold. You don’t have to burn scented candles to make your home smell great like the holidays. Tucking bunches of cinnamon sticks in a magnolia garland will add both texture and fragrance at the same time. While grinding some coffee beans and placing them in the living room will make your home smell fantastic. You can even enjoy some delicious hot coffee while it is grinding! For some added holiday and festive sparkle, you can use decorative accents in both silver and gold. Cool metallic tones such as steel, silver and nickel offer a sleek, modern aesthetic whilst warm and metallics such as copper, brass and rose gold provide a sophisticated glow, while adding an element of understated luxury. You can opt for metallic candelabras or metallic cutlery or even metallic flowerpots to create a unique look with a touch of glamour and striking minimalism with an inviting appeal. Turn a common winter scene – firewood, pinecones, branches and fir leaves into a dazzling showpiece with some fairy lights. Or use some rustic wooden logs to create beautiful tea light holders to add that seasonal and festive touch. You can even try incorporating the holiday reds and greens with some hand made tassels; they are easy on pocket and will add a nice frolic detail to your mundane everyday things. 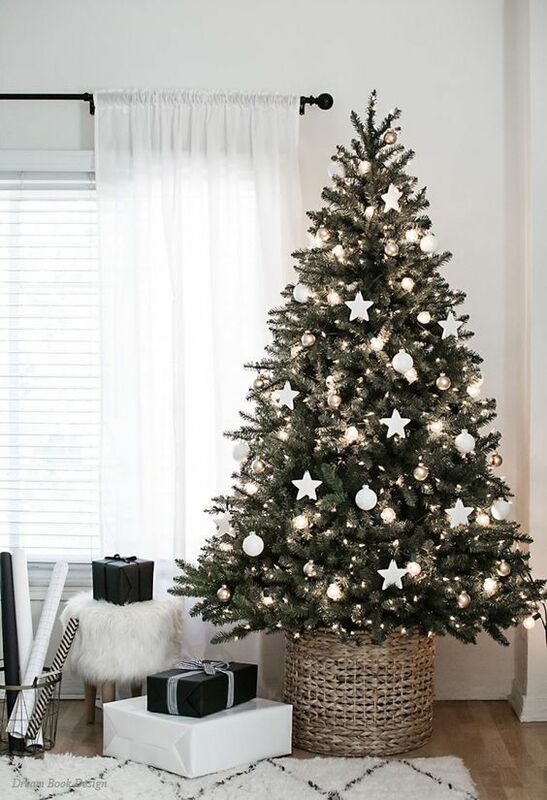 This Christmas and New Years get your home into the holiday and festive spirit with these dramatic and out of the box décor ideas and spread cheer and glee!